After receiving the 1001 Songs You Must Hear Before You Die book as a present a few years back, I have flicked through it a few times, curious if any of the songs I love most are included. In my head, I always said I would read and listen to the whole collection…if I ever got the time. Then, I became part of the Tumblr fitblr community and got faced with a challenge: Insanity. For me, this meant training two times a day: once at the gym in the morning (I’m a personal trainer), and once again at nighttime. For someone who believed they were running on too few hours in the day, I couldn’t believe how I managed to squeeze in the time to do both workouts. After completing the challenge, I realized that I could make time for the things I was determined to do, which opened a whole world of opportunity before me. 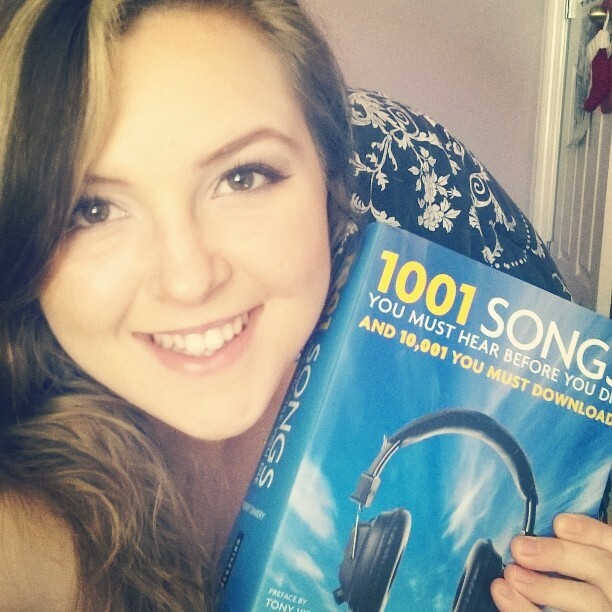 I started thinking about all the fun things I’ve always wanted to do with Planet Stereo, and the 1001 Songs Challenge is one of them. You can read my full reasoning HERE, the blogpost that started it all.